Gowns and dresses of all types, from simple to fancy, including wedding gowns and any formal wear, are given the same attention to detail as are all other items of dry cleaning. 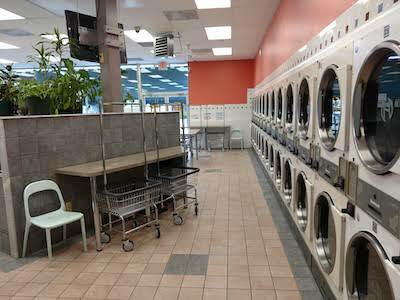 At Village Laundromat & Dry Cleaners in Bergenfield, we treat each item as if it was our own. Your gown or special dress will be nicely packaged and ready to be hung in your closet for the next special occasion or to pass along to your daughter. When you bring in that gown or dress, please do not forget to bring us a picture so we can see how beautiful you looked! Want to make sure that dress or suit fits just right? Village Laundromat also provides specialized tailoring and alterations.